A roof helps keep rain and snow out of a house. By offering good insulation, a roof can also improve a home's energy efficiency and prevent heat from being lost. Over time, a roof can wear and repairs may be required such as replacing tiles and repointing mortar. Since expert skills are needed, major roofing projects are often undertaken by a roofing company to ensure safety and preserve the structural integrity of the property. A flat roof generally consists of felting or another type of water-resistant coating. The roof is usually at a small angle to allow rain water to drain, although the pitch on a flat roof typically does not exceed 15 degrees. Different materials are used to provide a waterproof layer, including roofing felt such as bitumen coated sheets, ethylene propylene diene monomer (EPDM) rubber and fibre glass based coatings. Also known as sloped roofs, pitch roofs have tiles or slates. Pitch roofs can also have a thatched covering. The type of material as well as aesthetic preferences will inform the pitch of the roof, with thatched roofs generally having a greater pitch than tile or slate roofs. Pitch roofs have a void underneath, which is known as a roof space or loft. This space is often used to store components of a boiler, such as a water tank. It can also be converted into a liveable space or for storage. When converting a loft in a house with a pitch roof, it is important to understand whether the roof can sustain a conversion or if modifications are needed. Whether a roof is flat or pitched, they can be 'warm' or 'cold'. A roof that has insulation in order to prevent heat loss is called a warm roof. Insulation is placed between the rafters of a pitch roof or between the waterproof coating and the timber deck in a flat roof. When insulation is not incorporated into the design of a roof, it is known as a cold roof. In these cases, insulation is typically placed in or above the ceiling of the floor below the roof. Planning permission is generally not required when re-roofing a house and fitting roof lights or skylights. Permission is needed when alterations increase the height of the roof and when installing side-facing windows that are obscure-glazed. Planning permission may also be needed for any new opening that is 1.7 metres above the floor. Permission may be needed if changing the appearance of a roof, especially if the property is listed. A licence may be required if there are protected species in the roof or loft space, particularly bats. It is always a good idea to speak to the Local Planning Authority to determine when planning permission is needed, especially for major works. Building regulations approval is not required for projects that involve repairing less than 25 percent of the roof area. A building regulations application must be submitted if the project involves structural alterations or when replacing or repairing more than 25 percent of the area of the roof. After a period of time, a roof will need to be replaced, and a building regulations application is required whenever replacing a roof. An application may also be required when a installing a new type of roof covering, especially if it will have a different performance in the event of a fire. A new covering can also weight more or less than the existing covering, which could affect other elements of the roof structure. Working on a roof can be dangerous and may affect the structural integrity of a building. When removing or altering any elements of a roof, always take care to ensure the roof continues to perform effectively. Ensure that there is no movement that can cause gaps in the roof or cracks on the house's walls that might lead to a collapse. Cracks can also affect the ability of the roof to protect the property from moisture, which can result in a range of issues from mould to structural problems. Conducting a survey before and after major works on a roof will help identify any potential risks. When constructing a new roof, building regulations approval is needed. Details of the new roof including materials, dimensions and performance properties must be shared with the Local Authority Building Control. A new roof must be resistant to weather, including wind and water. It must also resist the spread of fire between properties, provide resistance to heat loss, be ventilated to protect the property from condensation, and have adequate drainage. It must also be able to support loads, including weight associated with weather such as rain and snow, materials such as tiles and insulation, and people during maintenance work. Hiring an experienced architect or builder will ensure your new roof design is structurally sound. Choosing a builder with roofing experience is crucial. Ask a potential roofer about their qualifications and check to see if the builder is a member of a roofers association, such as the National Federation of Roofing Contractors, the Single Ply Roofing Association, the Confederation of Roofing Contractors, or the government's Competent Roofer scheme. 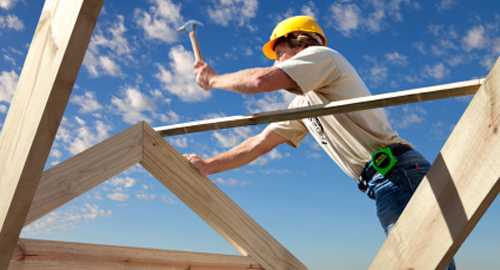 Before hiring a roofer, make sure that they have valid public liability insurance. You should also seek quotes from three different roofers and ask for references. Also, check that any work is covered by a guarantee.